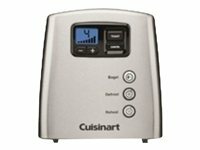 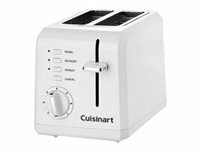 The classic toaster gets a modern update with the Compact Plastic Toaster by Cuisinart . 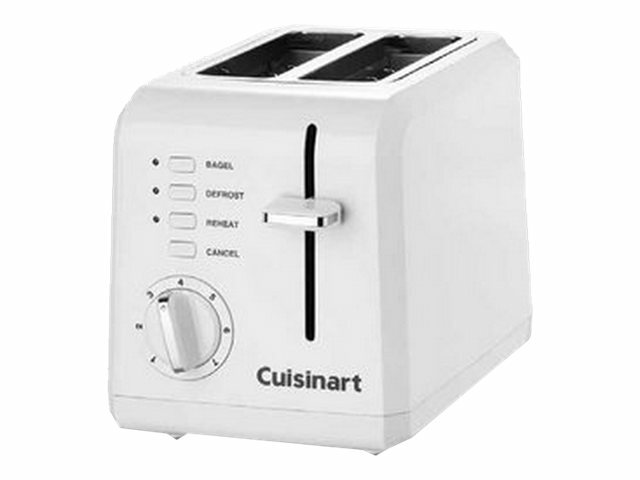 It saves space, placed sideways or facing forward, to fit any kitchen counter. 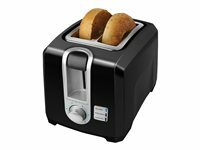 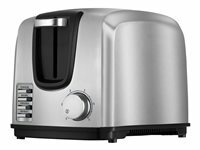 Whether making thick bagel halves or thin sliced breads, the wide slots, high-lift carriage and custom controls ensure even, precise and convenient toasting, every time.